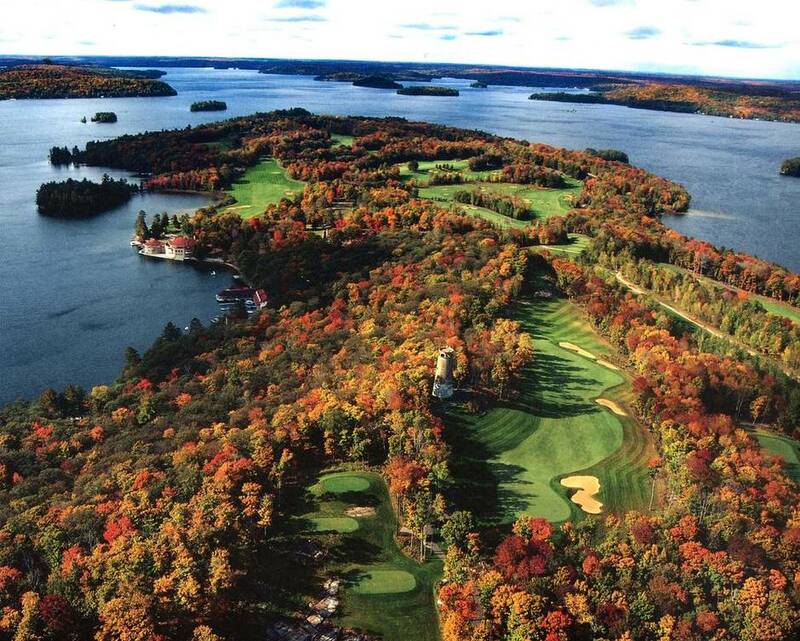 Ever since 1920, when Huntsville entrepreneur Charles Orlando Shaw opened the exclusive Bigwin Inn on Bigwin Island, the largest patch of dry land in Muskoka’s Lake of Bays, investors have been dreaming up schemes to merchandise the island’s reputation as a resort of the rich, titled and eminent. One of the worst of these ideas almost became reality a couple of decades ago, I was told by Jack Wadsworth, a retired American investment banker living in San Francisco and current owner of the island’s golf club. That was when local planning authorities okayed a previous landlord’s bid to lay out the golf course, and – this was the bad part – to put up a 150-room hotel on undeveloped land near the links. Mr. Wadsworth had another notion about developing his property. He decided to build upwards of 50 cottages on the parcel that had been zoned to permit a hotel. These places would be intended principally for use as guest houses or overnight lodgings for golf club members with residences nearby. Dave Smith, who manages Mr. Wadsworth’s real-estate interests on the island, estimates the cottages will go on the market for between $500,000 and $800,000 each. The story of this development might end here, had the owner done the usual thing – simply hired the cheapest cottage-country architect around to draw off plans, contracted with anybody who can handle a hammer to do the construction, then waited for well-heeled buyers to snap up pricey, but creatively undistinguished, bits of Bigwin Island history. But he didn’t do the usual thing. 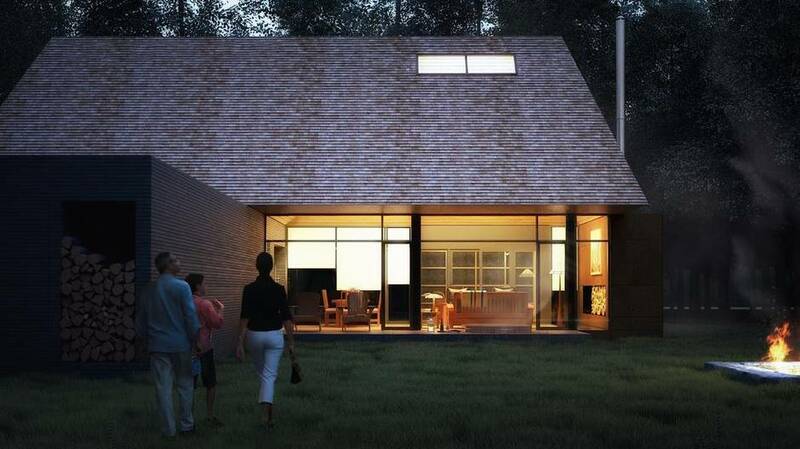 Instead, he launched a design competition among six imaginative Canadian architectural firms. The list of six (winnowed down from some 30 candidates, all Canadians, by the owner and by American architect Robert Christian Schmitt, who supervised the contest): MacKay-Lyons Sweetapple (with David Bowick) of Halifax; Montreal’s MU; Vancouver-based Patkau Architects; and Altius, Superkul and Taylor_Smyth, all from Toronto. If these proposals prove one thing, it’s that a serious, well-managed competition can get memorable results. Hard choices were set before the jury, which included Mr. Wadsworth, Chris Schmitt, and Dave Smith, who will co-ordinate the work. The group had the challenging job of judging submissions that, in every instance, incorporated thoughtful, inventive responses to the culture and natural beauty of the lakeside site, and that featured considerable design savvy. In giving the nod to MacKay-Lyons Sweetapple, the jury opted for a plan that combines trim artistic and physical simplicity with easy, efficient build-ability. It offers an uncomplicated, readily legible interpretation of the shape and sense of the traditional Muskoka cottage. While the exteriors are retiring – they express perhaps too literally their rational, modular style of construction – the interiors are sensuously dramatic, airy, and gracious. The jurors, if legacy-minded, will probably not be sorry they awarded the commission as they did. But had the jury been inclined to hand out an honourable mention, it couldn’t have gone to a competitor more deserving (or more subversive) than MU. 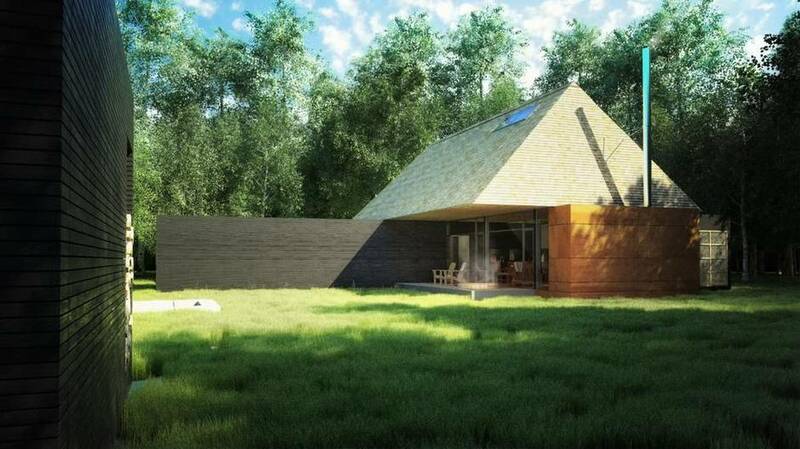 With mischief rarely witnessed among senior architects in public, this emerging Montreal practice decided to address Mr. Wadsworth’s primary requirement – that the designers honour the “Muskoka aesthetic” – by generating a vision, not of the cabin common in the area, but of the wigwam that native Canadians in this part of the world presumably lived in long ago. The results of the firm’s playful thinking about the source they’ve hit upon, if renderings can be believed, would be boldly strange, yet curiously beautiful and peaceful, and quietly at home in their forest or meadow settings. While members of the golf club, I suspect, would not tolerate this sort of intervention for a minute, I’m glad MU got a chance to make their case for something odd and wonderful. But you may not need to take my word on MU, or anything else. If Mr. Wadsworth and his team get their wish, the outcomes of this contest will be exhibited in Toronto, and far beyond. 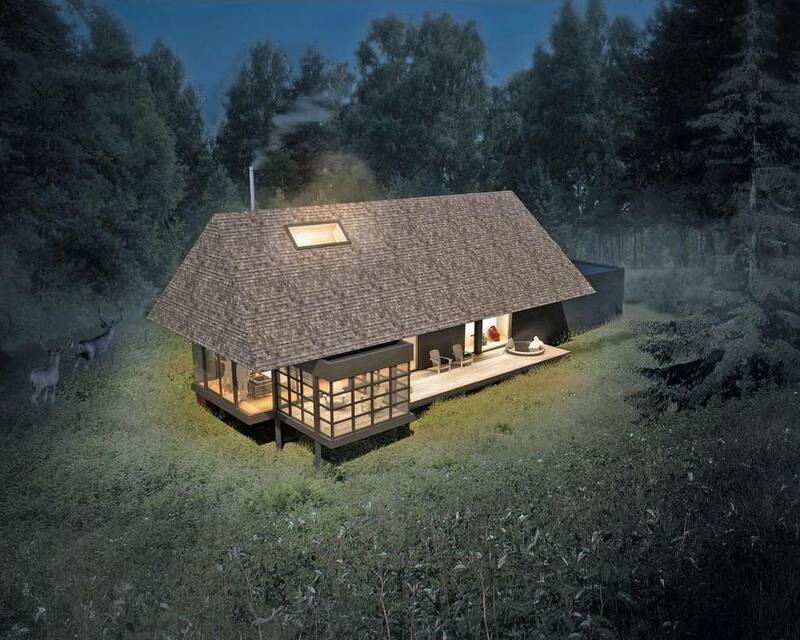 I hope a show of this kind happens, so that architecturally interested Canadians can decide for themselves whether this small, mindful competition really conjured up some pretty interesting suggestions for 21st-century cottages, as I believe it did.